Norm Johnstone was a bullocking ruckman/forward who played 228 games and kicked 195 goals for Fitzroy from 1944-57, and ranked 5th on the club’s all-time games list behind only Kevin Murray, Paul Roos, Garry Wilson and Frank Curcio. Only 183cm, he was short by ruck standards but made up for his lack of height with relentless competitiveness and aggression. So well did he do so that he was chosen in the following division of the Fitzroy Team of the Century with ruckman ‘Butch’ Gale and legendary rover Haydn Bunton Snr. Originally from the Chelsea Seagulls, he won the Fitzroy B&F in 1947, represented Victoria in 1948, and was the club’s leading goal-kicker in 1955. 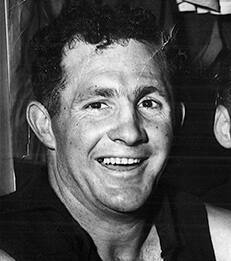 He finished equal 7th in the Brownlow Medal in 1949, equal 8th in 1951, and equal 12th in 1955. Much loved by his teammates for his imposing style of play and widely respected by his opponents, he was described by Richmond legend Jack Dyer as one of the toughest player of his era. Grandfather of ex-Melbourne and Brisbane Lions 200-gamer Travis Johnstone, he was a keen supporter of the Fitzroy/Brisbane Bears merger and an active participant in the club until shortly before his death aged 86 in 2013. How proud he would be if he were here tonight. 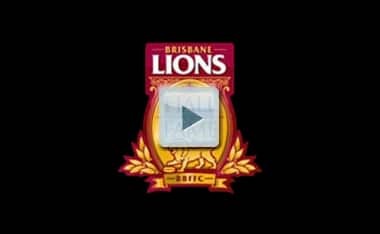 Still, in his absence, we salute Norm Johnstone - member of the Brisbane Lions Hall of Fame.